Home → Current News → What Happens When Physicians Become Patients? What Happens When Physicians Become Patients? Physicians are not supposed to get sick. We want to believe they are steely-eyed superheroes who never get a cold, never get broken bones, never need the same treatment for ailments as their patients. Physicians are unwavering in their dedication to their patients and the art of medicine…sometimes sacrificing the one thing they have that can keep them moving along in the profession. Their health. So, what happens when physicians become patients? According to a study by The Mayo Foundation for Medical Education and Research and published by Pew Charitable Trusts, more than one in 10 physicians become addicted to drugs or alcohol, a slightly higher rate than in the general population. Burnout, a recognized problem in the medical professions, and the easy availability of drugs likely make addiction more common among doctors. What is the Alabama Physician Health Program? Nationwide, physician health programs are designed to make it easier for those in the medical profession to seek help. Here in Alabama, the Alabama Physician Health Program, or APHP, is the program physicians, physician assistants, residents and medical students can turn to for confidential help as a first-line resource for potentially impairing conditions or illnesses. Times have changed, and APHP and the Alabama Physician Wellness Committee have evolved. In 1991 APHP hired its first medical director and created more structure and balance to the program. The mission became one of advocating on behalf of the physicians, which is what the staff of the APHP continues to do today for those under contract. Psychiatric illness, including mood disorders, depression, anxiety, psychosis, etc. For physicians to remain sober after they return to high-stress jobs with access to controlled substances, there has to be a big payoff. For physicians, the reward is huge — keeping a medical license that costs hundreds of thousands of dollars and years to obtain. 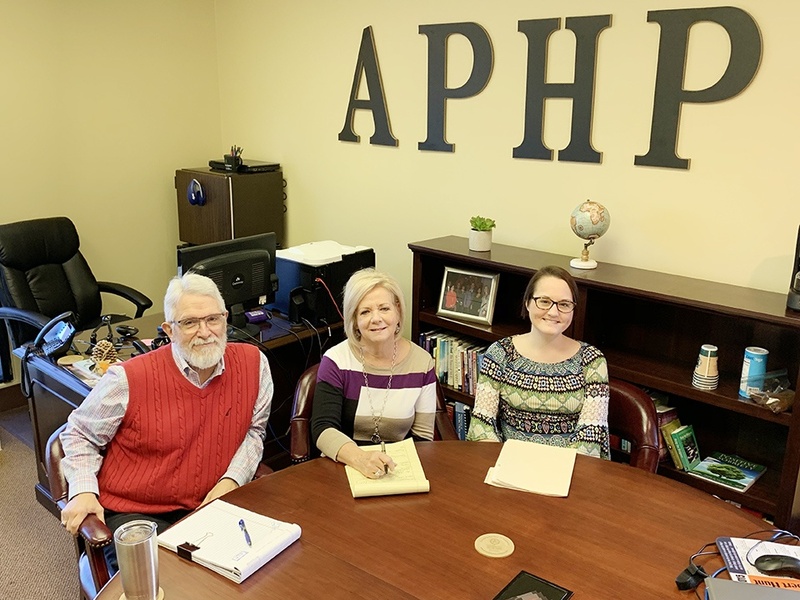 APHP has a high success rate, and the staff attributes that success to a myriad of reasons but mostly to the level of monitoring and what’s at stake for a medical professional. “Health care professionals who are monitored through Physician Health Programs have recovery rates greater than other segments of the population in part due to the accountability provided by monitoring as well as their strong desire to continue to practice medicine. We definitely have more success stories than not,” Dr. Frazier explained. Physicians who contract with APHP are sent for evaluation and treatment. There are a number of APHP-approved facilities for medical professionals to receive their evaluation and treatment before their return to the program for monitoring. Referrals are confidential. Alabama law requires physicians to report any other physician who may be unable to practice medicine with skill and safety to patients by reason of illness, drugs or mental or physical condition. Reporting to the APHP fulfills this requirement. Lee* is a recently retired surgeon who is a physician-patient of the APHP. This is his story in his own words. Lee is not his real name. 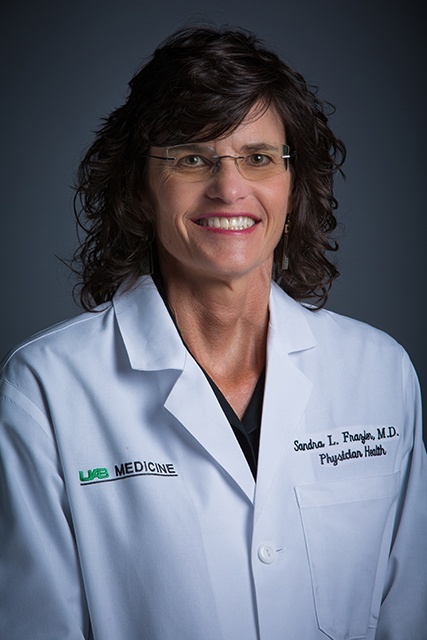 “I entered the Alabama Physicians Health Program with complete terror after a very successful 16-year career as a general surgeon in a very busy private and teaching practice. Though I ‘self-reported’ to the APHP, it was under considerable duress in that I knew at the time if I did not turn myself in I would soon be turned in by another person. There is always some come-apart that tips the balance. The call was incredibly hard to make, but I was greeted by a completely calm, supportive, fellow physician, and I could feel right away I was doing the best thing for myself. I was offered a variety of options but would be required to pick an approved facility for a three-to-five day evaluation. I selected Bradford and opted to remain for the recommended three-month in-patient treatment. “The hallmark of addiction is denial, a defense so deeply rooted I was incredibly blind myself to the extent and consequences of my addictions, as well as denying it all to others. This is a classic problem to overcome with addicts. Over the course of treatment, I was able to open up to others about my problems and to see the situation from their standpoints. I had grown up in a time and context where getting high on a variety of substances was the norm, and I took to it like a duck to water. I felt I was in the best position to make my own decisions and to play by my own rules. It was ‘work hard, play hard’ for me. Fortunately, I was pretty much able to keep the drugs and alcohol out of my work life, though I came to see in treatment that my behavior did, in fact, have very many negative consequences on myself and others and also the risks I took were enormous. I minimized all of this and somehow felt since I was practicing successfully and what I somehow thought was responsible, that it was all okay. “On entering treatment I decided to tell it all, to submit myself to evaluation and take the consequences. I had no idea if I would ever be allowed to practice medicine or surgery again. After extensive evaluation and treatment, and with constant support from APHP, I was allowed to retain full prescribing, surgical and medical privileges and was eased back into practice while receiving individual and marital therapy, and group support through APHP and other approved organizations. “The recovery process entails taking stock of our own problems and making amends to those we have harmed. I got our office staff together and explained to them all the issues I had and asked for their forgiveness and support. I did the same with partners, family, friends and enemies, as well as the hospital administration. I committed to them and to myself to be completely honest in the future. Honesty is the heart of true change. Living in addiction necessarily entails living in a series of lies to others. It was completely remarkable the amount of support I received and the change I could feel coming about in myself. I had come clean with everyone and was completely supported by them all. The relief was enormous, really unbelievable. It turns out virtually everyone has experienced the effects of addiction closely, in their family, their close friends, or in themselves, and they tend to be understanding, appreciative of the honesty, and most supportive of someone trying to face up to it and make a change in their lives. How Can You or Someone You Know to Get Help? The staff of the Alabama Physician Health Program is available to advocate for any physician, resident, medical student or physician assistant with an Alabama license. However, those physicians who are members of the Medical Association receive discounted rates. For more information call (800) 239-6272 or email staff@alabamaphp.org. All information is confidential.